Quote Images for Pinterest, Facebook, & Instagram. CLICK HERE! Learn how to create amazing quote pictures for social media Fast, Easy & Free. This course is ideal for those who wants to dramatically increase the number of likes and comments on their social accounts by lavishing their audience with amazing quote images. 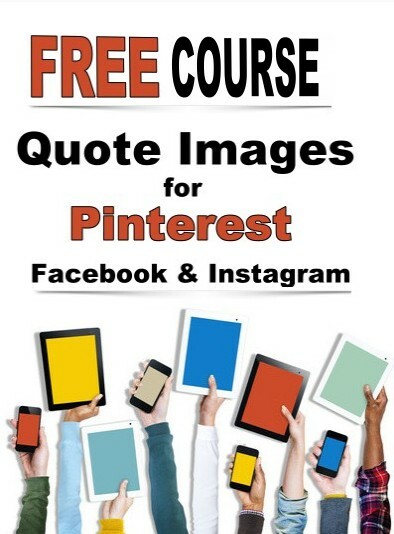 Using viral quote images is the fastest way to become popular on Pinterest, Facebook, Instagram, and other social media.